After announcing the Galaxy S10 series of smartphones at its first Unpacked event for 2019, Samsung has now brought the handsets to India. All three handsets, including the Galaxy S10, Galaxy S10+, and the Galaxy S10e have been launched for the Indian market along with the Galaxy Buds, which are the company’s latest wireless earbuds. The Samsung Galaxy S10 features a 6.1-inch QHD+ Infinity-O Display which has a 19:9 aspect ratio. This year Samsung is called its display tech as ‘Dynamic AMOLED’ which supports HDR10+ and the entire front is protected by Gorilla Glass 6. The handset will be powered by an Exynos 9820 processor and will be offered with 8GB RAM in two storage variants including 128GB and 512GB, both of which offer the option to expand it further. In the camera department, you get three of them at the back aligned horizontally. There’s a 12-megapixel wide-angle lens, a 12-megapixel telephoto lens, and a 16-megapixel ultra-wide lens camera. At the front, the S10 features a 10-megapixel selfie camera as well. Other features include a 3.5mm headphone jack, a USB Type-C port, wireless charging with support for reverse charging, a 3,400mAh battery, and an ultrasonic in-display fingerprint scanner. The smartphone will come with Android 9 Pie with Samsung’s One UI out of the box. Samsung Galaxy S10+ The Samsung Galaxy S10+comes as a larger version of the S10 with a bigger 6.4-inch display, with 19:9 aspect ratio and HDR10+ support. It is powered by the same processor options as the Galaxy S10 including the Exynos 9820 This one also comes with two memory configurations including 8GB RAM and a top-end 12GB RAM variant while storage options include 128GB, 512GB, and 1TB all of which are again expandable. The Galaxy S10+ features the same camera setup at the back as the S10 but at the front, you get a dual-camera setup. It also gets a larger a 4,100mAh battery, while rest of the features including wireless charging, the in-display fingerprint sensor, are all here. There is also going to be a special ceramic-finish version available only with the 8GB RAM with 512GB storage configuration. Yes, there is a slightly compact version of the S10 as well which is going to be pitted against the iPhone XR. Called Galaxy S10e this one features a 5.8-inch Infinity-O Display and will be offered with either 6GB or 8GB of RAM. The smartphone will be offered with an Exynos 9820 processor. You don’t get the triple camera setup here insteada 12-megapixel wide-angle sensor paired with a 16-megapixel fixed focus sensor on the back. On the front, you get the same 10-megapixel camera as the Galaxy S10. This Galaxy S10e will be offered in two storage variants including 128GB and 512GB both of which will offer expansions using a microSD card. This one comes with a regular capacitive fingerprint sensor unlike the in-display fingerprint sensor seen on the other two S10 smartphones. It also comes with a smaller 3,100mAh battery while the rest of the features remain the same. The latest wireless earbuds and Samsung’s answer to the Apple AirPods, the new Galaxy Buds are said to offer a comfortable form factor, easy controls, clear and smart sound, and compact size. They have been tuned by AKG and with the Enhanced Ambient Sound, one can hear their surroundings clearly even while the buds are in their ear. The offer up to six hours of Bluetooth streaming, and up to five hours of calls. The compact charging case holds a charge for up to seven hours, and gives the Galaxy Buds 1.7 hours of juice on a 15-minute quick charge. The case also supports wireless charging so you charge the earbuds on the go using a Galaxy S10 device itself. The Galaxy S10+ will be available in 1TB, 512GB and 128GB storage variants and will be offered at Rs 1,17,900, Rs 91,900 and Rs 73,900 respectively. The 1TB and 512GB variants are being offered in Ceramic White and Ceramic Black colours respectively, while the 128GB variant will come in premium Prism Black, Prism White and Prism Blue colours. The Galaxy S10 512GB variant is priced at Rs 84,900 and will be available in Prism White colour, whereas the 128GB variant, at Rs 66,900 will be available in Prism Black, Prism White and Prism Blue colours. The Galaxy S10e comes with only 128GB storage variant in Prism Black and Prism White colours. It will be priced at Rs 55,900. There are also a bunch of mobile operator offers. Airtel customers upgrading to Samsung Galaxy S10 range can get a cashback of up to Rs 3,600 (across 24 recharges or 24 months, whichever is earlier) on recharge pack of Rs 349 using the My Airtel App. Samsung Galaxy S10 range is also available on the Airtel Online Store with a down payment starting Rs 7,499 and EMI of Rs 2,599, which comes built-in with a post-paid plan. Galaxy S10 users on the Jio network will get an additional one-year of unlimited services free-of-cost. Users will get double data benefits when recharging with the Jio Rs 4,999 annual plan. That is, get 350 + 350 GB high speed data without any daily capping plus another year of unlimited voice and 700 GB data. This amounts to a saving of Rs 14,997. Vodafone users will get a one-year Netflix subscription worth Rs 6,000 to existing and new users of Red Postpaid plans starting Rs 499, on purchase of Galaxy S10 line of smartphones through its website. If you’ve ever tried on a virtual reality (VR) headset, you’re familiar with its ability to recreate real-life experiences. Even a rollercoaster ride simulation has the potential to make your stomach drop. VR tech has taken everything from journalism to pro football quarterback training to the next level. And last year, Walmart introduced VR to the world of employee training and development by using the technology to upgrade training at Walmart Academies nationwide. With the huge success of that program, the company is now providing Oculus VR headsets to all stores in the U.S. to bring the same level of training to more than 1 million Walmart associates. Starting next month, VR training will begin its launch across the country, sending four headsets to every Walmart supercenter and two units to every Neighborhood Market and discount store. With more than 17,000 Oculus Go headsets in stores by the end of the year, every associate – including those on the floor who interact with customers the most – will have access to the same training that their managers and department managers do at the Academies. Brock McKeel, senior director of digital operations, worked with Andy to bring VR training to associates, and said there are already more than 45 activity-based modules using industry-leading software provided by STRIVR. STRIVR’s platform delivers realistic, repeatable and scalable training content, which helps associates learn information more quickly and retain it better. Walmart plans to use VR to train associates in three main areas: new technology, soft skills like empathy and customer service, and compliance. VR training is particularly helpful for learning new tech. In a pilot test this summer, 10 stores used VR for training on new Pickup Tower units in their stores. VR is allowing associates to be trained before the towers are even installed – no teachers required. This will be key as Walmart continues to roll out new tech to stores. We have a lot of people who are cross-trained to use the tower now and they can help customers, which is amazing. Instilling confidence is exactly what makes VR so effective as a training tool. Because the effect of VR training is like an experience in real life, associates have the freedom to make mistakes and learn by “doing,” all while in a safe environment. But beyond the investment in innovation and associate training, VR technology helps teach skills that enrich the careers of associates across the U.S.
Apple Inc said Thursday that it will resume selling older iPhone models in its stores in Germany, where they were banned last year due to a patent infringement ruling. The iPhones will be sold in Germany only with chips from Qualcomm Inc, instead of a mix of chips from Qualcomm and Intel Corp. Qualcomm is in a global legal battle against Cupertino-based Apple over patent licensing, and the German case was part of the chip supplier’s efforts to rack up smaller wins ahead of a major lawsuit with Apple that goes to trial in April in San Diego. Qualcomm last year also won a ban on sales of some iPhones in China. Apple said it had “no choice” but to stop using some chips from Intel Corp in iPhones headed to Germany in order to comply with the patent infringement ruling. Qualcomm, the world’s biggest supplier of mobile chips, sued Apple in Germany alleging that some older iPhone 7 and iPhone 8 models violated Qualcomm patents around so-called envelope tracking, a feature that helps mobile phones save battery power while sending and receiving wireless signals. The alleged patent violation stemmed not from Intel chips but yet another Apple supplier – Qorvo Inc – whose chip was only present in older phones with Intel modems. The court sided with Qualcomm and banned sales of some iPhone models that used Intel modem chips, leading Apple to pull the devices from its 15 retail stories in Germany and its online store in the country. The ban was a victory in Qualcomm’s legal conflict with Apple. The iPhone maker has alleged that Qualcomm engaged in illegal patent licensing practices to protect a monopoly on so-called modem chips, which connect mobile phones to wireless data networks. Qualcomm has in turn alleged that Apple has infringed its patents. A major case between the two goes to trial in the United States in April. Apple began phasing in Intel’s modem chips in 2016 after years of using chips exclusively from Qualcomm. In last year’s iPhone models, Apple dropped Qualcomm’s chips completely in favor of Intel’s. But Qualcomm has continued to supply Apple with chips for older models, and Apple on Thursday said it would use only those for German iPhone 7 and 8 models. “Qualcomm is attempting to use injunctions against our products to try to get Apple to succumb to their extortionist demands,” Apple said in a statement to Reuters. Qualcomm and Qorvo did not immediately respond to requests for comment. Newer iPhones with Intel chips remain on sale in Germany. “Intel’s modem products are not involved in this lawsuit and are not subject to this or any other injunction,” Steven Rodgers, Intel’s general counsel, said in a statement. The recent diplomatic dust-up over Chinese telecoms company Huawei, one of the leaders in developing equipment for fifth-generation mobile networks, has demonstrated that this technology which promises to enable an internet of things and self-driving vehicles also poses risks. What is 5G, what will it be able to do, and what are the risks? What is 5G? 5G stands for the fifth generation of mobile network technology, which should begin to be rolled out in 2020 in Asia and the United States. Each generation has offered improvements in data transmission speed and capacity, and with 5G the networks are really set to make the transition from telephony to other objects. What will it be able to do? The much vaunted internet of things has so far been hobbled by the limitations of mobile networks, both in terms of transmission speeds of handsets and the fact the backbone of networks hadn’t been expanded sufficiently in many cases to handle huge volumes of data. With 5G, transmission speeds should accelerate sufficiently to allow for self-driving cars to take to the roads or for doctors to conduct operations remotely. It will also cut the cord on augmented and virtual reality. The ability to connect more sensors will help make many services “intelligent”, such as helping manage traffic flow and telling the sanitation department when garbage bins need to be emptied. Industry is in particular looking forward to 5G to reinvent manufacturing and allow it to monitor all sorts of processes. Why does 5G pose security risks? The first reason is that more data and more types of data will be travelling across 5G networks. Much of the data transmitted by sensors could be sensitive, such as information about manufacturing processes that business rivals would be interested in acquiring. Or the data from our homes that could be gleaned to determine all sorts of things about us. The treasure chest of data for hackers is getting much, much bigger. A second reason is that an increased reliance on the mobile network means its disruption would have even more serious consequences, both in terms of safety and economic activity. A failure during a remotely guided operation could lead to the death of a patient or a crash of a self-driving car. A longer outage could disrupt an economy. This poses national security risks. While the diplomatic spat over the arrest of Huawei’s chief financial officer was based on accusations the firm violated US sanctions on Iran, the United States has longstanding concerns about Chinese telecommunications equipment being a Trojan horse for Beijing’s intelligence and military. Huawei is a major manufacturer of equipment used to build 5G networks, and the US defence establishment fears it could enable it to disrupt American military communications or otherwise wage asymmetrical warfare in a confrontation. The United States has essentially barred use of Huawei equipment in domestic networks, as have Australia and New Zealand, with other countries considering following suit. The promises are always hyped, but the delivery is often a disappointment. Early buyers of 4G smartphones were often let down: their handsets could handle nippy speeds but the backbone of networks were often not yet bulked up to handle the higher data flow. Operators have now built up the capacity of their backbone networks, but if 5G is to keep its promise the number of base stations needed is enormous. Otherwise, users will be forced back onto slower networks. Meanwhile operators are having to invest billions to roll out 5G, which is an issue because competition in many countries has hemmed in prices companies can charge consumers. While most analysts believe operators will in the end be able to finance building the new networks, they may not initially be dense enough to handle some of the most anticipated applications. Building a dense network of base stations along highways to handle self-driving vehicles will be a costly endeavour, for example, and operators may find themselves seeking partners from users of new services. Chinese smartphone manufacturer Xiaomi launched its new device the Redmi Note 7 Pro along with the Redmi Note 7 in India today. The company has priced the Redmi Note 7 Pro starting Rs 13,999 for the 4GB + 64GB variant, whereas the 6GB + 128GB version is being offered at Rs 16,999. The Chinese smartphone maker notes that the Redmi Note 7 Pro will be available starting March 13 (12PM). 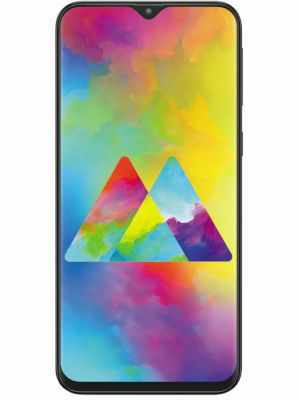 Simultaneously South Korean tech giant Samsung has launched the Samsung Galaxy M30 which will compete against Redmi Note 7 Pro in the Indian market. The Samsung Galaxy M30 price in India starts Rs. 14,990 for the base variant with 4GB of RAM and 64GB of inbuilt storage. The higher-end model of the Samsung Galaxy M30, with 6GB of RAM and 128GB of inbuilt storage, carries a price tag of Rs. 17,990. Redmi Note 7 Pro, you get a similar design including the glass back with ‘Aura Design’ and a 6.3-inch Full-HD+ display with 19.5:9 aspect ratio and a dot-notch. The device has a 2.5D curved Gorilla Glass 5 at the front and the back. This one is powered by a Qualcomm Snapdragon 675 processor which was recently launched with the Vivo V15 Pro. There is an option of 4GB and 6GB RAM with 64GB and 128GB of inbuilt storage with support for a microSD card slot of up to 256GB. The Samsung Galaxy M30 is a dual-SIM (Nano+Nano) smartphone that boots Samsung Experience v9.5 based on Android 8.1 Oreo. It features a 6.4-inch Full HD+ Super AMOLED Infinity-U display with a water-drop style notch. Samsung has ditched the 18:9 aspect ratio on the M30 for a display with an aspect ratio of 19.5:9. Under the hood, the M30 boasts an octa-core Exynos 7904 processor paired with 4GB/6GB RAM and 64/128 GB storage options. The device supports memory expansion of up to 512GB. In terms of optics, the device houses a triple-camera setup. The rear camera setup consists of a 13MP RGB sensor with an aperture of f/1.9, a 5MP f/2.2 depth sensor combined with a 5MP ultra-wide sensor with 123 degrees field of view and aperture of f/2.2. At the front, the M30 sports a 16 MP sensor which supports Live focus. For security, the phone has a fingerprint scanner on the back and supports face unlock feature. The phone comes with USB Type-C for connectivity and charging and comes in two colours — Gradation Black and Gradation Blue. The smartphone is powered by a massive 5,000 mAh battery which supports fast charging facilitated by a 15W charger. Ahead of Samsung’s Galaxy S10 launch, Xiaomi has announced its new flagship, the Mi 9. Most of the features of the mobile phone were already out, including the triple camera at the back with a 48-megapixel sensor and the powerful Snapdragon 855 processor. Announced at a special event in China, the new Mi 9 comes in an interesting curved glass design with gradient finish at the back. There’s a 6.39-inch Samsung-made AMOLED display with FHD+ resolution. There is a tiny water-drop notch at the top and a slight chin at the bottom, so no it isn’t completely bezel-less and the company claims a 90.7-percent screen-to-body ratio. As mentioned above, the handset runs on a Snapdragon 855 processor with 6GB and 8GB RAM options. During the event, Xiaomi founder Lei Jun has announced a Game Turbo feature which is said to boost the phone’s performance for an improved gaming experience. He went on to say that this feature helps in maintaining a higher framerate when compared to the likes of Huawei’s Kirin 980 equipped device. The triple camera setup at the back includes a 48-megapixel primary sensor with an f/1.75 aperture and laser autofocus, a 12-megapixel telephoto lens and a 16-megapixel ultra-wide angle lens with a 117-degree view as well as 4cm macro photography capability. There are also some AI features, distortion correction, a bunch of face filters and more. There’s also a “Moon Mode” which does exactly as it sounds. It is claimed to take sharp and detailed photos of the moon. Sure, that’s exactly what consumers do when they buy a phone with a high-end camera. The company went on to actually compare shots taken from an iPhone XS and the Huawei Mate 20 Pro with the Mi 9. Hopefully, this feature also works for other bright objects that are far away instead of just working on the moon. Other features include an in-display fingerprint sensor, NFC, infrared remote to control TVs and air conditioners and improved audio courtesy a large driver and a 0.9cc sounding chamber. There’s a 3,300mAh battery which can fully charge within 60 minutes as the phone supports 27W fast charging. There is also 20W wireless charging support which is evidently faster than Samsung and Huawei. To experience that, Xiaomi also introduced a $15 (Rs 1,100 approx) wireless charger, a 10,000 mAh power bank worth $22 (Rs 1,600 approx) and an in-car wireless charging cradle with automatic grip for $25 (Rs 1,800 approx). All of these accessories will be sold separately. Last, but not the least, the Mi 9 also gets a transparent limited edition just like last year’s Mi 8. The limited edition of the Mi 9 was announced in association with newly released sci-fi movie Alita: Battle Angel. The company has improved the overall camera here adding an extra lens and a faster f/1.47 aperture. It also comes with a whopping 12GB of RAM so you don’t have to slow down on multitasking. The Mi 9 with 6GB of RAM and 128GB of storage is priced at 2,999 (Rs 32,000 approx) yuan while, the 8GB version will cost 3,299 yuan (Rs 35,000 approx) . The special transparent edition with 12GB RAM and 256GB of storage will cost 3,999 yuan (Rs 43,000 approx) . Chinese smartphone manufacturer Vivo has launched its new device Vivo V15 Pro in India today for Rs 28,990. The all-new Vivo V15 pro will be available from 20 February in India. 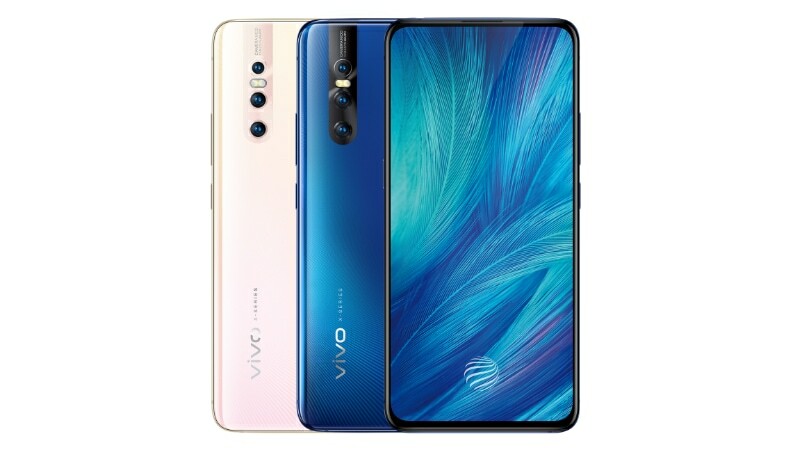 The device sports a pop-up front camera, which the company first introduced in the iconic Vivo Nex smartphone in early 2018. The Vivo V15 Pro sports a 6.39-inch full-HD+ Super AMOLED Ultra FullView Display and include a Snapdragon 675 SoC, paired with 6GB of RAM and 128GB of onboard storage. The phone is also likely to have a 3,700mAh battery along with a “Dual Engine” fast charging technology. The device also lacks physical fingerprint sensor, so V15 Pro could have a fingerprint scanner embedded in the display screen itself. In terms of optics, the back of the Vivo V15 Pro houses a triple-camera setup with three lenses arranged in a vertical fashion. This line-up is likely to include a 48MP quad pixel primary sensor, with effective capabilities of a 12MP sensor. One 8MP sensor and another 5MP sensor are also likely to be in the mix. On the front, Vivo V15 Pro will have a 32-megapixel selfie camera that is going to pop-out whenever required. Samsung has officially shown off its Galaxy S10 lineup, which includes the Galaxy S10, S10+ and S10e. These smartphones will be available for pre-orders on Flipkart beginning tomorrow, revealed the e-retailer today on its website. The page also allows users to sign up for notifications about the handsets by clicking on the ‘Notify Me’ button when logged in. It is believed that Samsung India will start selling the Galaxy S10, Galaxy S10+, and Galaxy S10e around March 8, if not on the same day. The company has already revealed that select markets will be getting the phones on March 8. In the US, the Galaxy S10 carries a starting price of USD 899 (approx Rs 63,000), while the S10+ starts at USD 999 (approx Rs 70,000). The S10e is the cheapest of the lot with a starting price of USD 749 (approx Rs 53,000). The Samsung Galaxy S10 features a 6.1-inch QHD+ Infinity-O Display which has a 19:9 aspect ratio. This year Samsung is called its display tech as ‘Dynamic AMOLED’ which supports HDR10+ and the entire front is protected by Gorilla Glass 6. The handset will be powered by the Qualcomm Snapdragon 855 processor, but of course in India, we will be getting the Exynos 9820 processor which should be equally fast. The handset will be offered with 8GB RAM in two storage variants including 128GB and 512GB, both of which offer expandable storage. In the camera department, you get three of them at the back aligned horizontally. There’s a 12-megapixel wide-angle lens, a 12-megapixel telephoto lens, and a 16-megapixel ultra-wide lens camera. At the front, the S10 features a 10-megapixel selfie camera as well. Other features include a 3.5mm headphone jack, a USB Type-C port, wireless charging with support for reverse charging, a 3,400mAh battery, and an ultrasonic in-display fingerprint scanner. The smartphone will come with Android 9 Pie with Samsung’s One UI out of the box. As for the price, the Galaxy S10 will start at $899.99 which should roughly translate to Rs 64,200 in India. A 5G variant of the S10 was also announced, which is expected to launch later this year. The Samsung Galaxy S10+comes as a larger version of the S10 with a bigger 6.4-inch display, with 19:9 aspect ratio and HDR10+ support. It is powered by the same processor options as the Galaxy S10 including the Qualcomm Snapdragon 855 and the Exynos 9820 This one also comes with two memory configurations including 8GB RAM and a top-end 12GB RAM variant while storage options include 128GB, 512GB, and 1TB all of which are again expandable. The Galaxy S10+ features the same camera setup at the back as the S10 but at the front, you get a dual-camera setup. It also gets a larger a 4,100mAh battery, while rest of the features including wireless charging, the in-display fingerprint sensor, are all here. There is also going to be a special ceramic-finish version available only with the 8GB RAM with 512GB storage configuration. Pricing for the Galaxy S10+ starts at $999.99 which is roughly around Rs 72,000 in India. Yes, there is a slightly compact version of the S10 as well which is going to be pitted against the iPhone XR. Called Galaxy S10e this one features a 5.8-inch Infinity-O Display and will be offered with either 6GB or 8GB of RAM. The smartphone will be offered with a Snapdragon 855 or an Exynos 9820 processor. You don’t get the triple camera setup here insteada 12-megapixel wide-angle sensor paired with a 16-megapixel fixed focus sensor on the back. On the front, you get the same 10-megapixel camera as the Galaxy S10. This Galaxy S10e will be offered in two storage variants including 128GB and 512GB both of which will offer expansions using a microSD card. This one comes with a regular capacitive fingerprint sensor unlike the in-display fingerprint sensor seen on the other two S10 smartphones. It also comes with a smaller 3,100mAh battery while the rest of the features remain the same. Pricing for the Galaxy S10e starts at $749.99 which is about Rs 53,500. The Galaxy S10 5G, which is due later this year will be coming with the same processing power but will get a larger 6.7-inch display, a bigger 4,500mAh battery and an extra ToF (Time of Flight) camera at the back. Huawei Technologies unveiled a $2,600 folding smartphone on Sunday which it said was primed for next-generation 5G mobile connections, even as the United States campaigns to bar the Chinese company from such networks over security concerns. Huawei, the world’s second-largest smartphone vendor after Samsung, said it had taken the lead on developing phones for 5G – which promise super fast internet speeds for consumers and businesses – because it was also involved in developing the networks. “This phone is not only for today for 5G but also for future 5G. On all the benchmarks you can see the performance, the speed is the fastest for 5G in the world,” said Richard Yu, head of Huawei’s consumer business group. Speaking ahead of the mobile industry’s biggest global event, which kicks of on Monday in Barcelona, Yu said the Huawei Mate X will have two back-to-back screens which unfold to become an eight-inch tablet display. Yu said the Mate X would be able to download a 1 gigabyte movie in three seconds but also be priced at 2,299 euros ($2,607) when it goes on sale later this year, setting a new upper limit for consumer smartphones. Samsung Electronics Co Ltd last week unveiled its own folding smartphone, priced at nearly $2,000, in a bid to top the technology of Apple Inc and Chinese rivals and reignite consumer interest amid slumping sales. Huawei, which is also the world’s biggest producer of telecoms equipment, is under intense scrutiny in the West over U.S.-led allegations of enabling Chinese state espionage, accusations which the company denies. Huawei’s chairman said on Sunday recent comments by U.S. President Donald Trump that the U.S. needed to get ahead in mobile communications through competition rather than seeking to block technology was “clear and correct”. After a really long struggle, Spotify has managed to launch its services in India. The app was enabled yesterday for most users and is offered with multiple plans to suit their needs. In case you have been living under a rock, Spotify is a Sweden-based music streaming platform which was originally launched in October 2008. It has been the top music service provider globally when it comes to subscriber base. In fact, As of February 2019, it had 207 million total monthly active users, including 96 million paying subscribers. Spotify is definitely late to the party and could have a hard time to compete against existing services like Apple Music, Google Music and Amazon Music as well as domestic player like JioSaavn and Gaana. The reason for Spotify’s delayed arrival is that the company took its time to sign deals with various labels that control the music industry in India. Mind you, unlike most countries, India has a massive music industry. There are independent artists, regional music and of course Bollywood. The company hasn’t had a very pleasant experience as it reportedly had concerns with T-Series and is currently still in talks with Warner Music to finalise content. The app is available for all Android and iOS devices as well as Windows 10 PCs, macOS devices, Android TV, Sony PlayStation, Microsoft Xbox and of course on all web browsers. Spotify claims that the app is also available on Apple CarPlay and Android Auto, however, I tested the app and couldn’t use the service on the latter. Hopefully, a quick update will enable the feature. Also, if you own an Android TV, make sure you download the app as it just looks majestic on a large screen. Considering I have used the global version of Spotify, the Indian version is pretty much the same. You get access to all features including the highly praised ‘Discover’ curation which you can find under the Search option. Specifically for India, you get curated playlists based on what users are listening in cities like Delhi, Mumbai, Bengaluru and Chennai. There is also a tab customised for you, which suggests songs based on what you have been listening. Then there are Editor’s picks, best of artists, and a variety of auto-generated playlists which keep improving as you use the app. As for the content itself, there is a wide range of music including Bollywood, Punjabi, Tamil, Telugu, apart from a variety of international genres, podcasts, radio, and more. Notably, some international content is missing from Spotify. I was surprised to see music from legendary bands like Led Zeppelin and Metallica unavailable on the app. Now it’s not like everything is missing, but one expects to find a song immediately under the search results. You will notice that while all artists are present, some of them have no music while some have only a few singles or albums. The reason for that is presumably the ongoing tussle with Warner Music. Spotify had confirmed that Warner revoked a previously agreed publishing license for reasons completely unrelated to Spotify’s launch in India. Just a day back, Warner sued to stop Spotify’s use of its catalog, which Spotify had tried to obtain rights to through a controversial amendment to the Indian copyright act that allows for broadcasters to obtain licenses without the copyright owner’s consent. So don’t be surprised if your favorite Ed Sheeran track is missing, but hopefully, Spotify will eventually get content from Warner. In my opinion, if you have been using a streaming service say Apple Music or Google Music, then there isn’t a huge reason for you to jump boat. On top of that, a chunk of international music isn’t available as of yet. Having said that, Spotify is highly capable and intuitive and the existing services can’t match up when it comes to playlist curations and suggestions. Personally I also think that the app lets you discover new artists that are aligned with your music tastes. Audio experience has been impeccable and one can seamlessly switch between devices. Why should I get Premium? The good thing is, if you don’t get the premium plan, you still get access to the entire music library offered by Spotify. But if you want to enjoy the full potential of Spotify, we suggest you go for the premium plan. Apart from an ad-free experience, the premium tier offers 320Kbps audio files to stream and download (for offline playback) under the very high-quality music option. This makes for an enhanced audio experience, especially for the ones who prioritise quality over size. The premium tier also unlocks the ability to skip tracks and you can also download tracks for offline listening making albums and playlists accessible to you all the time. The premium tier also offers Spotify Connect, which controls Spotify music across multiple devices. You can control what’s playing on your laptop using your smartphone, or pair Spotify with dedicated hardware, like speakers or a console. As for the subscription, just like the global version, Spotify in India is being offered as an ad-supported free tier, as well as premium tier options. The premium plans are ad-free and include a 30-day free trial. After the free trial ends, you need to pay Rs 119 per month to get full access to all the music and premium features. You only get the complimentary one month access if you pay for your monthly plan via Visa or Mastercard. Spotify Premium starts for Rs 13 a day while a week-long subscription is priced at Rs 39. If you are a more serious user, then you can go for the monthly subscription which priced at Rs 129, Rs 389 for 3 months, Rs 719 for 6 months and Rs 1,189 for one year. Notably, while this is only slightly cheaper than Apple Music, there are no sharing or family packs, which give Apple an advantage here. Yoga practiced in the right way can be as soothing as a hug or a massage when it comes to reducing tension and relaxing the physical body. Certain postures have a deeply calming effect on the whole system, particularly forward bends and inversions. I need to single out Balasana (Child’s Pose) here because of it’s wonderful ability to soothe the adrenal glands and create internal and external calm. Restorative and Yin are great styles for practicing the art of letting go as is Shavasana/relaxation at the end of a yoga class. When we are stressed out or anxious, the mind becomes busy — often to the point of frantic. Learning to focus the mind on one thing at a time may seem like the most difficult thing in the world, but with practice, it becomes easier. How? Meditation is an incredibly powerful tool for relaxing and slowing down the mind as is any kind of breath awareness. Whether you’re holding postures, flowing through sequences, or in a seated meditation pose, everything begins to focus and slow down when you take your awareness to the breath. Over time and with repeated practice, you start to develop new habits towards a more relaxed internal state. Stress and tension can cause us to breathe in a rapid, shallow way, which can lead to more anxiety. Yoga gives you the opportunity to breathe more effectively, using the diaphragm and utilizing the whole lung capacity. Certain Pranayama techniques are useful for reducing stress, particularly Brahmari (humming bee breath), Nadi Shodhana (alternate nostril) and Ujjayi (victorious) breath. Left nostril breath can have an internalising and calming effect too. Develop Connection Between The Mind And Body. When the mind and body are connected, there’s generally a greater sense of harmony and ease in our lives. The body sends important signals when something is off balance, which happens so often when we are under pressure. Having the ability to respond is therefore really important for our wellbeing. Yoga teaches us to be sensitive to each movement and to listen to our bodies. The practice encourages us to exist in the present moment and to live in a more mindful, conscious and connected way. Understand How Your Mind Works. For me this point is the most crucial when it comes to long-term stress management, as so much of our stress comes from the way our minds turn. When we let our minds run on auto-pilot mode, that is to live unconsciously, we are at the mercy of our conditioning. Yoga can help us develop awareness of how our own unique mind works and that awareness can help us live in a more conscious way. As an example, when we are in a challenging place on the yoga mat, awareness lets us see how our mind responds to stress. Our reaction might be to immediately pull out of the pose. Or perhaps it’s to push ourselves further. It might be to get angry at the teacher, or it might be to roll up the mat and get the hell out of there. By developing awareness over our mind patterns in response to stress, we give ourselves the opportunity to be less affected by them, and to consciously choose another response. I am calm, all is well. Negative emotions like fear, anger and guilt can cause stress, particularly if they are not expressed. A build up of anything creates pressure. Emotional pressure often gets released in an unrefined way, such as shouting at your partner, snapping at a work colleague or getting unreasonably fired up that you got a cappuccino when you ordered a vanilla latte! We actually release emotional energy really effectively throughout our yoga practice, even if you’re not aware of it. Postures that release the hips and shoulders (where we commonly store emotional tension) are particularly effective. If you feel a bit wound up, try taking a hip opening yoga class and notice how you feel afterwards. If any residual emotions come up, notice them and then simply spend a few minutes letting them go via the exhalation. I have a long history with ongoing and at times chronic stress. In my experience, I have found yoga and meditation to be the most effective and by far, the most enjoyable tools to unwind and relax internally and externally. As I’ve mentioned, stress is not something we can completely shelter from, but through yoga and meditation we can learn how to reduce the impact stressful situations have and set ourselves up for a much happier. Many people think that being in the MBA program is a break from work. However, the program is full of challenges. In pre-term, the first four weeks of your MBA career, classmates. are challenged with a heavy workload and team-intensive projects. From this experience, I learned to be aware of potential challenges and take advantage of resources available. For instance, classmates from different cohorts form study groups to help each other prepare for finals and offer free tutoring sessions on-campus. Through this experience, I learned to effectively communicate with my study groups to achieve maximum productivity. You usually hear about building brands in marketing. In MBA program, this is very crucial. During daily engagement and teamwork, you are always evaluated by your classmates. How do you build a personal brand? An approach is to focus on these five keys: Competence, Connection, Courage, Character, and Credibility. Competence is your technical ability. Connection is how you actively build relationships and develop networks in the MBA program. Courage is an indicator of how you are able to communicate and provide an opinion with confidence, but not in an overly aggressive manner. Character is about being trustworthy, hardworking, and optimistic. Credibility is demonstrated in your willingness to take responsibility and lead a group. Networking is one of the key reasons people choose an MBA program. During our orientation, I learned that building and maintaining relationship is essential to all career directions. To do so, I created a tracking system in Excel. On this sheet I recorded my old and new connections. Although you may not keep in touch regularly, send previous managers or colleagues an email just to keep in touch. When you make new contacts, add as many details as possible. As you follow up with them, you will be able to use this information to remind them about the conversations you had or connect on a personally level. I have many classmates who successfully secured offers from their dream companies because they did a great job building and tracking relationships.